We have lots of methods of communication at Lord Blyton Primary School. We use Parentmail, which is our SMS text message service, which every parent will be registered for. Please ensure that we always have your most current mobile number and emergency contact details so that we can keep you up to date with school messages. ParentMail also allows you to pay for and give consent for school trips, after school care – The Hive, book Parents Evening Meetings and other items online. 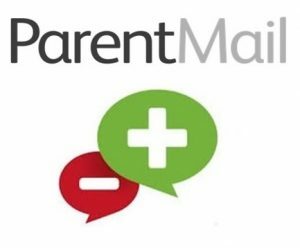 You can update your details on the Parentmail website. You can also download the ParentMail app for Android and Apple devices. We also have a Twitter and Facebook account so that we can keep you upto date with what is happening in school throughout the year. We hope that you will follow us on Twitter @LordBlyton or like us on Facebook. Please check your child’s book bag regularly for any letters/newsletters from the school. If you need to see the class teacher, please do so at the end of the school day after children have been dismissed. Class teachers are not available for meetings with parents in the morning as they are needed to supervise their class. You can also make an appointment to speak to your child’s teacher after school. We have three parents meetings throughout the school year, so that you can discuss your child’s progress with their class teacher. The first one is usually at the end of November, where the teacher will discuss with you how your child is settling in, what levels they are at, and what they need to work on. The second parents evening is usually around Easter time, and you can discuss what progress your child has made, and what they can do to progress further. The third parents evening coincides with the end of year school reports being sent out to parents. This is usually in the middle of July, before the children break up for Summer Holidays. This parent’s evening is by appointment only, for any parents who wish to discuss anything in their child’s report with the class teacher. You can find all the information you should need about the school on our school website. Miss Gibson, the Reception teacher will send a weekly letter to inform you of what has been taught in class that week and a home/school record book allows weekly correspondence about each individual child. There will be regular newsletters sent from the school informing you of any special events, holidays etc and a termly magazine which highlights the children’s work etc. Please check your child’s book bag each night for any letters or newsletters from school and take out any pictures or work they may have brought home to show you. We have an open door policy in our nursery and parents are very welcome to talk with staff at the beginning or end of each session. Alternatively, parents can talk with nursery staff via the phone or write a message in their home school communication book. Please ensure this book is returned to school every Wednesday. At the beginning and end of each nursery year, staff will host a parents evening where nursery staff will discuss your child’s progress. Parents will also be able to view their child’s ‘Learning Journal’. Learning Journals can be looked at any time by parents at request.